Argentinian footballer Emiliano Sala was on board a plane that went missing over the English Channel on Monday night, according to the French civil aviation authority. The 28-year-old Nantes striker was announced as a new signing for Premier League club Cardiff City on Saturday. The French civil aviation authority said Sala was aboard a light aircraft that disappeared from radar en route from Nantes to Cardiff. 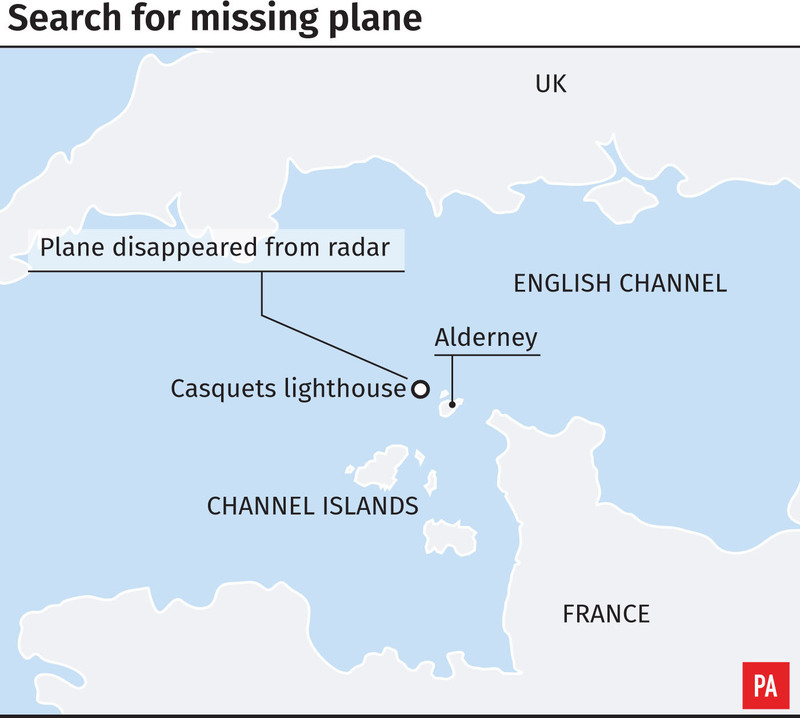 Rescue teams were scrambled to waters north of Guernsey after the light aircraft carrying two people vanished, Guernsey Police said. Searches of the area resumed on Tuesday morning, with authorities saying the missing plane had yet to be found. Guernsey Police said the Piper PA-46 Malibu, a single turbine engine aircraft carrying two people, departed Nantes at 7.15pm for Cardiff and was flying at an altitude of 5,000ft. Guernsey Coastguard received an alert at 8.23pm from Jersey ATC that a light aircraft had gone off their radar approximately 15 miles north of Guernsey. A major search and rescue operation was triggered involving both St Peter Port and Alderney lifeboats and the Air Search 1 and two HM Coastguard helicopters. An update from Guernsey Police said: “The search was terminated at 02:00, with all search and rescue assets being stood down, due to strengthening winds, worsening sea conditions and reducing visibility. Air Search 1 and a French rescue helicopter based in Cherbourg resumed the search of the area at 8am on Tuesday. A photo posted on Sala’s Instagram account on Monday appears to show him with his Nantes team-mates and the caption includes the word “ciao”. According to the Cardiff FC website, the footballer began his playing career as a youth at Argentinian side Club Proyecto Crecer, before heading to France, signing for FC Girondins Bordeaux and making his debut for the club in 2012. Since the 2015-16 season, Sala has scored 42 goals for FC Nantes, the website said.